The SI Belt by Cybertech applies direct, circumferential compression in order to stabilize the sacroiliac joints from L5 to the coccyx. 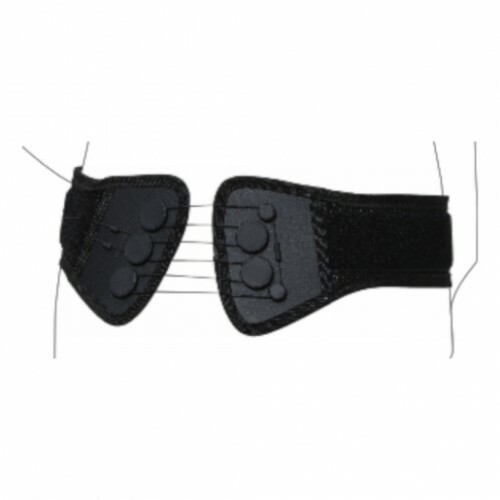 The corset is made of a comfortable, stretchy, mesh material and the belt includes pressure pads that can be adjusted or removed to create customized comfort for the wearer. The belt is available in either a low-profile or standard design. The standard design uses a 5:1 mechanical advantage pulley system that can be adjusted according to preference. The low profile model uses a 3:1 pulley system. The SI Belt can help ease symptoms associated with sacroiliac joint pain or instability, symphyloysis and arthritis. Wearers will love the compressing, reinforcing stability that the SI belt will provide all day long.